You can check which SIMS user the Assembly Connector uses by running the Assembly Configuration tool from the start menu on the server where you installed the Connector (you should also be able to find it in C:\ProgramData\Assembly). 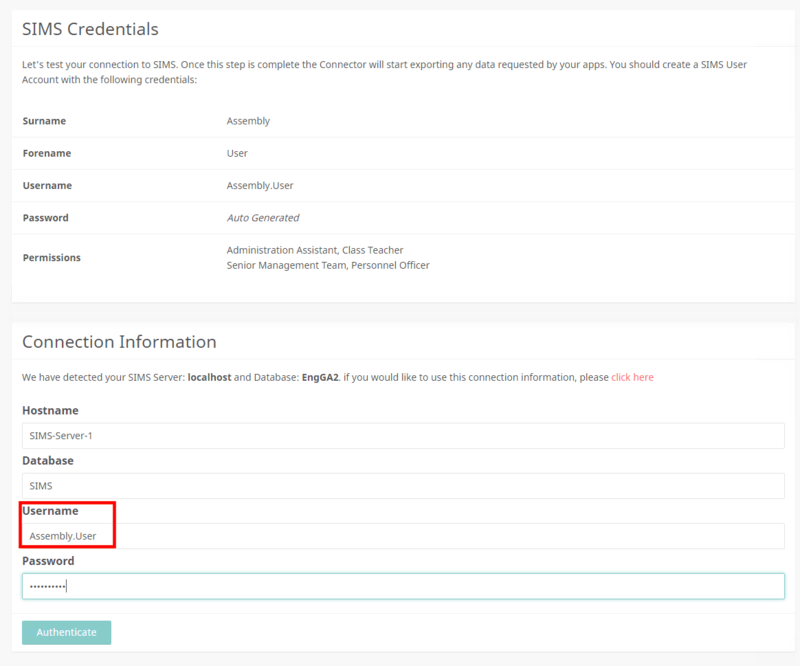 You will need to click back through the configuration steps - the username will be detailed on the SIMS Credentials section of the configuration tool. Please note: In order to check and manage user permissions you must have administrator privileges on SIMS. Go to Focus -> System Manager -> Manage Users and search for your Assembly User. Search for the Assembly User, making sure to change Role to <Any>. If the user is already a member of all the correct permission groups, ensure that the start date for this membership is no later than today's date (and that there is no end date). Go to Focus -> System Manager -> System Manager.